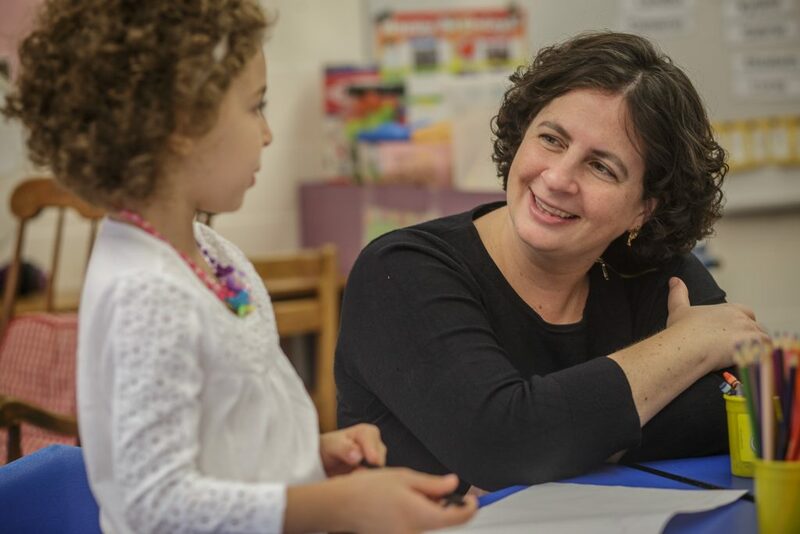 Tracy Zager, a former 4th-grade teacher who now coaches math teachers, has written a book highlighting effective instructional strategies. 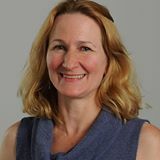 Tracy Johnston Zager, a 4th grade math teacher from Washington state, has become a rock star among teachers, including many in California, for her advice on how to teach math. They are reading her book, “Becoming the Math Teacher You Wish You’d Had: Ideas and Strategies from Vibrant Classrooms” and talking about it during twitter chats (#becomingmath). Some are adding photos of their favorite quotes or pages (#booksnaps). Zager is also available for video chats. The book is based on Zager’s experiences and research, as well as extensive observations in classrooms around the country – including in California. It includes many Common Core math teaching strategies, along with dialogue between students and teachers, examples of student work, and additional resources. Zager created a downloadable “study guide” to help readers. She also has online forums for readers to share ideas. 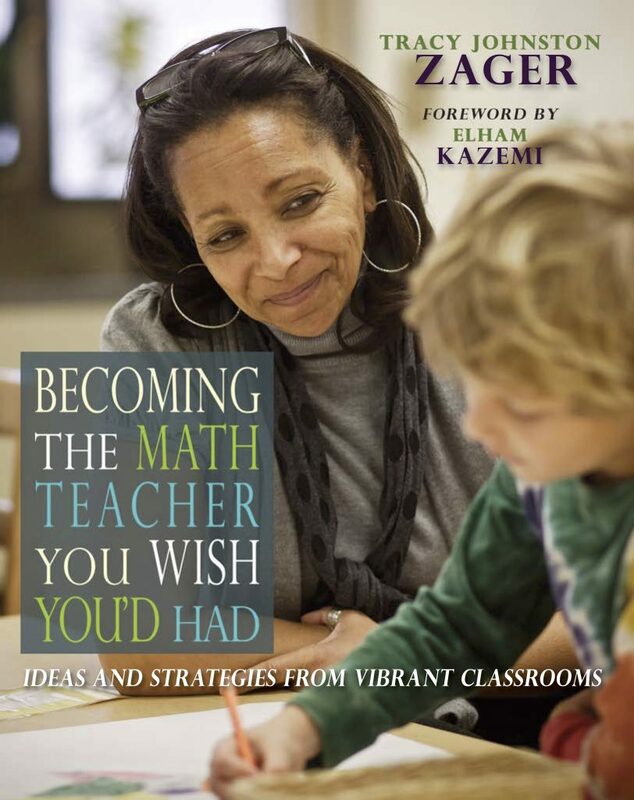 In a recent EdSource interview, Zager talked about her book and shared advice for teachers who want to improve their math instruction. Below are excerpts from the interview. Tracy Zager wrote, “Becoming the Math Teacher You With You’d Had,” to help educators improve math instruction. Q. Tell us about the California teachers in your book. A. California is like the epicenter of many exciting ideas in math right now. My book includes Andrew Stadel, who blogs at estimation180.com. New series of #estimation180 challenges in the works. Andrew has built this whole website of estimation challenges, looking at things such as quantity, length, capacity, weight and time. Kids love them, but they’re also fantastic for teachers. You haven’t lived until you’ve revealed the answer to one of his challenges in a classroom. Each one has a video that’s about 1 minute and 25 seconds long that shows the answer. As you get to 1 minute, you can pause the video and see kids’ reactions. And when you get close to the end, you hear cheers and groans and ‘darn it!’ The next day, they get to do another one. It also includes John Stevens, who created wouldyourathermath.com, which sets up debates about math (and tabletalkmath.com based on his book, Table Talk Math). The book also includes former Oakland math teacher Dan Meyer, who helped create the online teacher professional development community called the ‘Math-Twitter-Blog-s-Sphere’ at #MTBoS. And Robert Kaplinksky, a math teacher specialist in Downey Unified who also trains also math educators. 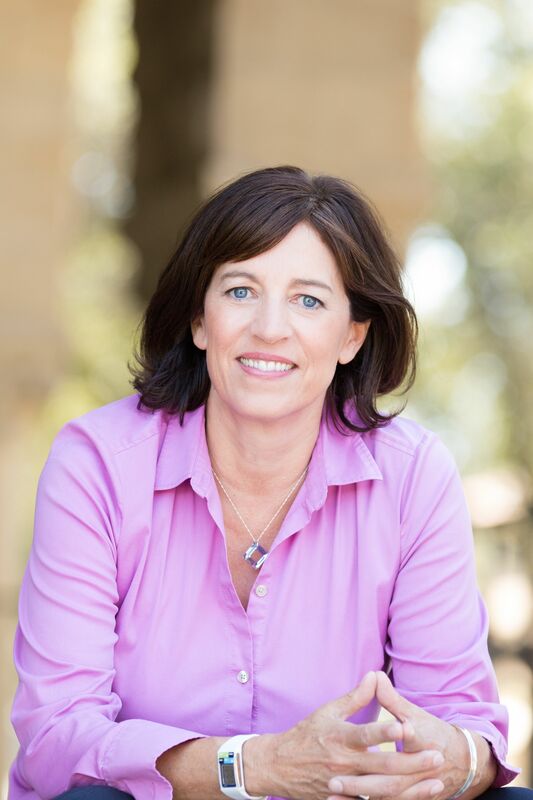 Plus, Stanford professor Jo Boaler, and former teacher and math coach Cathy Humphreys, who coauthored “Connecting Mathematical Ideas,” with Jo Boaler. Q. How can teachers find out about innovative ideas being tried in California classrooms? A. I think the Internet is key – and conferences and books. One risk in my book is I don’t want people to read this and think, ‘These teachers are super heroes.’ They all started more traditionally and got to where they are through good professional development, reading, going to conferences, sharing ideas with each other in workshops, creating partnerships with universities, and keeping up with new ideas. Q. How can teachers develop math confidence? A. To teach math well, you need a really deep understanding of the math. Math coaches need to work on nonthreatening ways to do a lot of math with the teachers they work with. In my work with K-6 teachers, we start every session with a math warm-up – a problem I’ve chosen intentionally to go deeper. 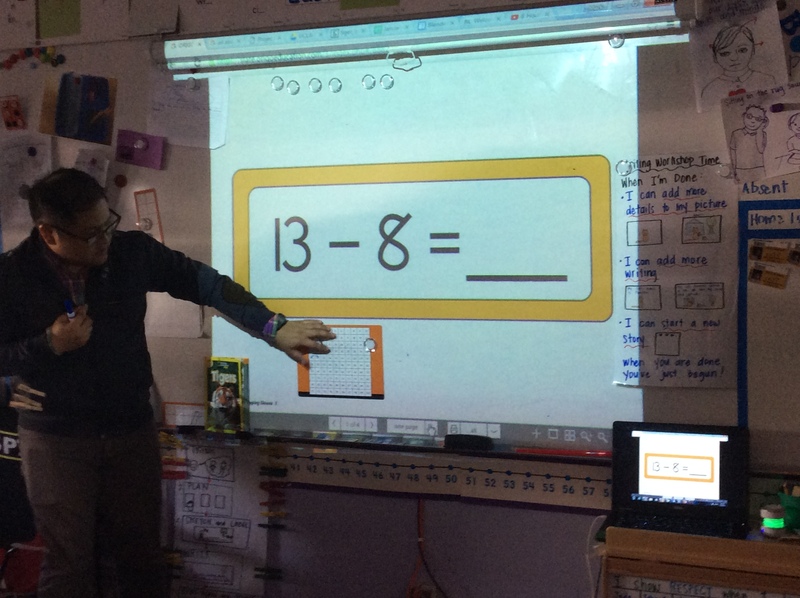 For example, I might put up a photo of a box of peaches, with one missing from a row, from the Number Talks Images website – with no words, no question, no formal vocabulary, no formula – nothing that would trigger that kind of flee response I often see. I asked: ‘How many peaches are there?’ Every single person could count the peaches. We all got 27. Then I asked, ‘How did you count?’ One person said, ‘I saw four rows of six and three more.’ Another said, ‘I pretended it was four rows of seven and I subtracted one for the missing peach.’ Before I knew it, I had 10 strategies to compare. Q. Your book talks about learning from mistakes. Why is that important? A. You can’t do math if you’re not going to make lots of mistakes. But, historically, we’ve had this kind of cartoonish view that the right answer is good and a wrong answer is bad. That’s not helpful if you’re interested in teaching and learning. I spent some time in the book on good, juicy mistakes to explore and on more trivial, simple computational errors. We need teaching strategies for both. Some mistakes students make reveal interesting conceptual misunderstandings. I share in the book about classrooms where teachers know it’s valuable to make a mistake that helps everybody understand in the end. We want to make a classroom a safe environment for sharing mistakes. Q. 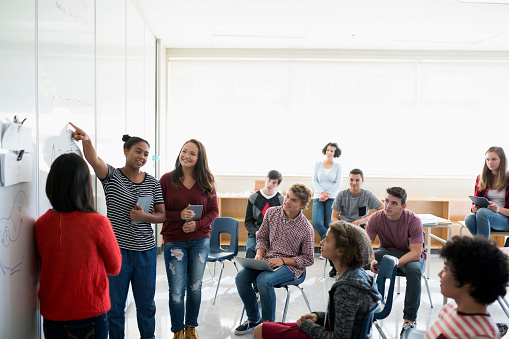 How do you recommend that teachers ask open-ended, thought-provoking questions? A. I model it. And we read a lot and we’ve watched some videos together, such as (math expert) Phil Daro’s video, ‘Against answer-getting.’ The goal is deep mathematical understanding and learning – not just getting the answer and moving on. I recommend asking questions whether the answer is correct or incorrect, pressing the student to justify it. If teachers only ask about wrong answers, kids immediately think they didn’t get it right. I teach teachers to ask questions so every answer has two parts: ‘What I think’ and ‘why I think that.’ We can have a good conversation about justification. Often, if it’s a mistake, kids will find it themselves. And often, if it’s correct, they’re not sure why, so there’s continued math learning. Q. Many teachers emphasize precise vocabulary in math. How important is that? A. I think it’s eventually important for students to have it, but I think we’ve misinterpreted that. I think that informal, everyday language belongs in math class too. What happens when kids are trying to talk about mathematical ideas with informal language is eventually they don’t understand each other because the words are vague. I don’t lead with vocabulary. As we’re talking, when kids say, ‘The pointy-out thing on the triangle,’ eventually, the word ‘vertex’ comes up. But, I absolutely honor the language of ‘the pointy-out thing.’ Sometimes, the conversation demands a different word, so we can agree, like ‘congruent’ or ‘isosceles,’ or one of these more formal math words, when kids need them. Q. What is an example of a teaching strategy aligned to the Common Core standards? A. A number talk. It’s a brief time where you pose a problem and students work on it mentally, then share their answers and their strategies. They use the sentence frame, ‘I think (blank) is unreasonable because (blank).’ Such as, ‘I think the answer is unreasonable because it’s too big, or because it’s too small.’ She crosses it out if it’s unreasonable and she zooms in on a range of answers that are reasonable. Then she stops. I think that’s the genius move. Q. Persevering in math involves what some call, ‘productive struggle.’ Your book warns that productive struggle can sometimes become ‘destructive struggle.’ Please explain the difference. A. I think teachers need to be very attuned to how the struggle is going down. We don’t want to rescue kids from good grappling, when they’re really thinking about a problem. You want that child to continue to be in charge of their thinking. But when a kid is sliding into frustration or hopelessness, you want to intervene – by modifying the question or introducing a nudge or a hint – but very carefully. You want kids to be right at the frontiers of their understanding as they’re wrestling with something. (With help), they need to know just a little more than they currently know. That keeps them motivated and engaged. On the flip side, we’ve rescued way to early for way too long, especially kids with special needs. We jump in and tell them how to do it instead of letting them figure it out for themselves. Q. What are your thoughts about ‘teaching to the test’ to assess mastery of Common Core standards? A. It makes me pretty heartsick that that’s the culture we’re in right now and that we’ve been in since No Child Left Behind. I think some of the intentions behind these laws are good, but people didn’t think through what the implications of implementing this testing culture are. Kids are getting stomachaches, having anxiety disorders, being told they are a 1 or a 2, and then being grouped by that, which is disgusting. This pressure around testing is bonkers. I very much understand having testing that aligns with our standards. But one thing that happened with Common Core implementation that went very badly is that tests rolled out very quickly after the standards came out. We haven’t had enough professional development. Curriculum materials, in some cases, just came out. So schools have been testing on things they haven’t been teaching. It takes time. Q. Your book addresses sexism and stereotypes, stressing the importance of making math accessible to all students. Please elaborate. A. Equity is a huge theme of the book. Math belongs to everybody and it hasn’t historically been taught that way. Throughout the book, I wanted the readers and me to be thinking about, ‘How can we interrupt the current narrative – upend the status quo and make math teaching and learning more equitable?’ So, I focused on racial, gender, linguistic and special education equity. I was trying to press pretty hard on different ways that people think about it. For example, in her wonderful book, ‘Women in Mathematics: The Addition of Difference,’ Claudia Henrion wrote about women forging their own way into math and how that changed mathematics. She discussed intuition. My summary of what she said is that society’s myth about math is that it’s pure logic – cognitive and emotionless. But in reality, to do math, you need to use your whole self – creativity, intuition, and cognitive, logical thinking – along with heart and curiosity and passion. Q. How do you ensure that math problems are accessible to all students? A. Provide tasks that do not have a text load that blocks kids’ access to the math – such as the pictures of peaches or red vines licorice at estimation180. You don’t need to be able to read English or to have a cultural reference in those kinds of problems in order to access them. I want us to be putting all word problems through that lens of access. Q. Your book is largely based on observations of teachers. What were you looking for? And then there was the equity question. I wanted to highlight the brilliance of a predominantly black school, a white rural school, a suburban school, a couple of urban schools, and a bilingual school. It was important to me to be in all these sites – where across them, teachers were very effective. Those are the ones I wrote about because I knew they could be replicated.